I’m always looking at ways to keep my cell phone alive through long, busy days. You know, so I can stay connected. Options that don’t require an outlet are always welcome. So the Cling Bling solar powered charger is perfect. The six inch square has a name that sounds like something a preteen girl would carry around. Perhaps it does something with hair? If you guessed hair, you would be wrong. 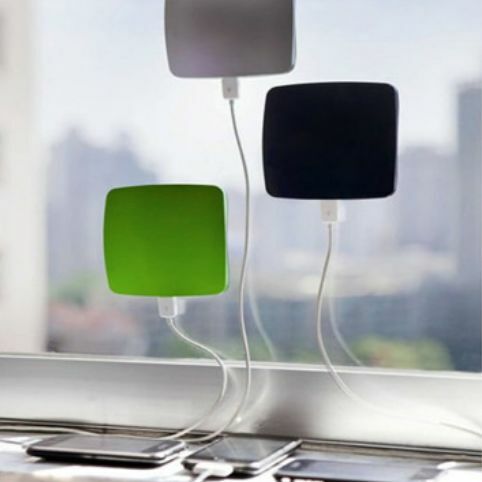 This gadget with the funny name sticks to any window and chargers devices via USB. Works with iPods/Pads, Android devices, Kindles, etc. If it’s powered via USB, it can be powered with this. If you plug it in while clinging to a window, it will take about 6 hours to fully charge a phone. Why would you want to sit around for six hours charging something? You don’t. Which is why the fact that there’s a battery in this as well is great. If you charge off the battery it’s only two hours. That’s a train trip to the next major city in my area. Plus you can use it at night. The Cling Bling is $34.99. It would be cool if this was just on the back of my phone case. This way it would just charge all the time.